Remember when goth, and by extension Hot Topic, reigned supreme? 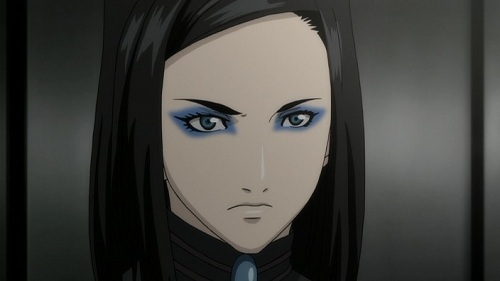 Ergo Proxy is basically an anime peopled by fans of Hot Topic. The setting is gritty, and the main character wears black outfits, steal tipped boots and heavy mascara. The color palette skews towards grey and black, and even when the show uses other colors, they look muted. In the years since Ergo Proxy’s release, goth fans have moved toward the sparkly vampires in Twilight. 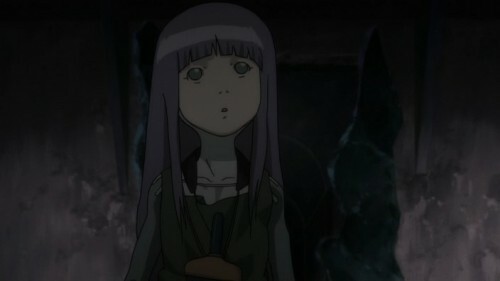 That’s a shame because I found the ugly, dirty world of Ergo Proxy compelling. The show did not live up to the promise of its premise, but I much prefer the version of goth culture it embraces to the more recent version from Twilight. The show takes place in an enclosed city called Rondo. It is a paradise where robotic assistants perform most of the work. At least that is how the privileged residents, called “citizens”, perceive the city. The other half, refugees from outside Rondo, called “immigrants”, live in decrepit surroundings and perform grunt work. The two groups, citizens and immigrants, co-exist peacefully without outward tension. The appearance of a monster shatters that peace. The granddaughter of Rondo’s ruler, Re-L (pronounced Ree-El), vows to kill the monster. Re-L and her friends spend much of the series on a quest to learn the secrets of, and ultimately try to destroy, the monster. 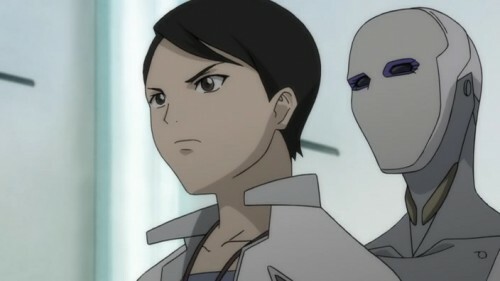 The group’s journey helped me understand the characters and world of Ergo Proxy, but the director had the opportunity to do more. This segment felt listless and dragged on several episodes too long, as if the show itself had lost its way. 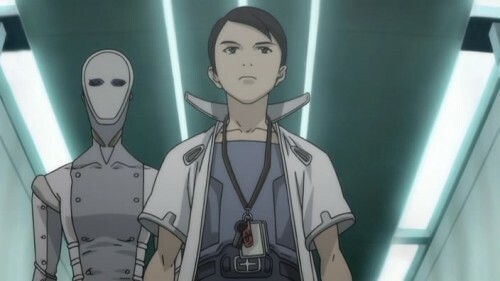 Unlike superior flavor-of-the-week shows like Kino’s Journey, the cities the group explored in Ergo Proxy lacked distinctive features and did not raise intriguing moral issues. 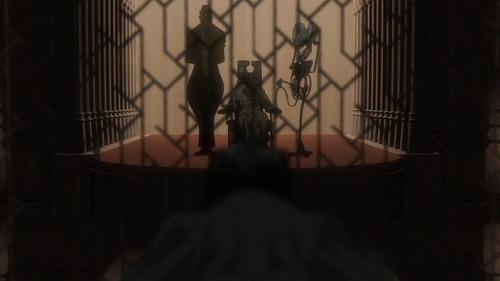 The visits served the narrative of Ergo Proxy but did nothing more. The show did explore moral issues, mostly those common to futuristic authoritarian stories. These include what it means to be human, what happens when humans dabble in artificial life and the desirability of an authoritarian government. I appreciated that the show goes into these issues, but felt books like Brave New World have done a superior job of addressing them. What sets Ergo Proxy apart from most of its contemporaries isn’t animation quality or the story, but its music. The soundtrack was mostly instrumental and uninspired, but the opening and the ending songs rocked. The show is the only anime I know that features a famous western song, in this case Radiohead’s “Paranoid Android” accompanied the closing credits. The song fits well with the theme of the show, although I would have preferred the song to accompany the show’s opening instead of the ending. Luckily, the opening song the show used, Kiri by the Japanese band Monorol, was a great choice. It feels dark and powerful in a way that captures the show’s mood. I don’t know if anyone watched Ergo Proxy just because it included a Radiohead song, but I appreciated that the show took an (expensive) risk in its music choice. I appreciate Ergo Proxy‘s decision to take risks, both in licensing high profile music and in creating an intriguing goth flavored world. Ultimately the show failed to execute on its ambitious concept and the middle section dragged out much too long. Still, the show is unique enough that I recommend it to fans that want something different than the anime series currently simulcast online. I’ve never actually seen it but for a while Kiri had pride of place on my iPod. Great, great song. And they got Paranoid Android too! How did the show pull that off?!? The show isn’t pretentious, rather it tries too hard. It suffers from a similar malady as Ghost in the Shell 2, it tries to be too deep for its own good. Still, I’d rather it try too hard and fail than not try at all. I wish I could agree about the neat one-off episodes. There were certainly interesting scenes now and then, but none of the episodes felt truly noteworthy on their own. I’m not sure how they pulled off licensing paranoid android, especially how they licensed it for the US release. According to animenewsnetwork.com Radiohead watched a preview of the show before licensing it. I just hope the show didn’t lose too much money doing so. I agree with your assessment of the show. Great premise, mediocre execution. Minor correction: Re-L is the granddaughter of the ruler, not the daughter. As for western songs used in Japanese animation, I remember “Falling Down” by the Oasis, opening theme of Eden of the East. Thanks for the correction. For some reason Oasis never resonated with me, but I can’t deny that they are a major western band. Maybe I missed it because Funimation apparently only included it in the first episode of the US release in order to keep costs down. Lain, texhnolyze, ergo proxy, I bet there was someone on the team who liked western music, I just noticed these all have english songs. Also, speed grapher’s strange opening featured a very old duran duran song, girls on film. 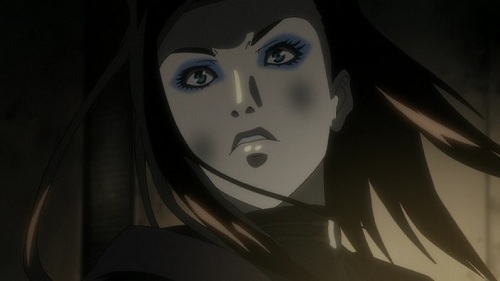 It wasn’t so much the music in and of itself; Ergo Proxy had fantastic atmosphere overall. I do agree the show sort of fatally overreached itself – I feel the show started to derail when it got out of the grungy environs of the dystopic city and out into the wilds. There was a sort of tension throughout as to whether or not Ergo Proxy wanted to be a fantastic sort of “journey” story or a neo-noir sort of investigative mystery. Excellent review. I felt exactly the same about this series. It started great and slowed considerably in the middle. The end wasn’t that great, partly because Ergo Proxy tries to pull off a lot and succeeds only a little. Still a great series nonetheless, and it’s getting a rerelease in July too. And here’s my addition to English songs in anime: Lithium Flower the ending theme of Ghost in the Shell: Stand Alone complex was performed by Scott Matthew, and of course you have Interstella 5555 in which Daft Punks album Discovery plays in the background.